Again, a rule my father actually articulated. The problems with this rule should be immediately apparent. I am ashamed to admit how old I was before I realized this probably wasn’t the best guideline for gift giving. One Christmas I had my eye on a small brandy snifter. It was a clever gag gift—exactly the kind of thing I loved during my tween years. The “brandy” was sandwiched between thin layers of glass. From the side, it looked like a glass of brandy but if you tried to drink it, of course, nothing came out. I bought it for myself but convinced myself I was buying it for my father. It sat on a shelf in our living room until it disappeared one day. In my early 20’s, I gave my mother a navy blue Nike sweatshirt. I got it when she decided it wasn’t for her. Dad was the kind of husband who might use Mom’s birthday as a good excuse to replace a major household appliance. On the other hand, he was not the kind of Dad who would ruin a perfectly good birthday or holiday with clothing. 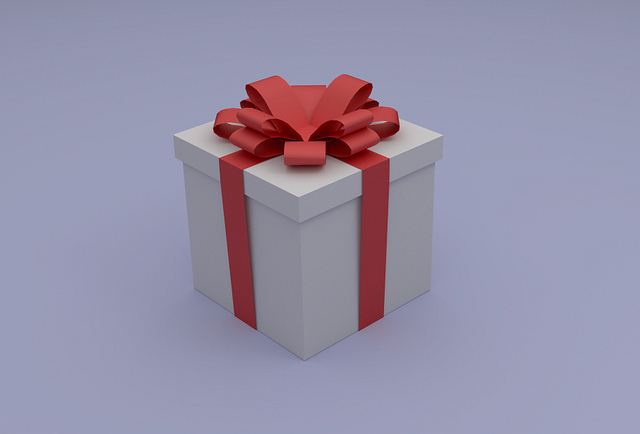 When I was little, my heart would sink when my grandparents presented Gwen and me with those lightweight boxes which indicated right up front we’d be getting something “useless.” Whatever small element of surprise remained was quickly dashed since we generally got the same item in different colors. I guess Dad did not follow the rule 100%. One time I begged and begged for a Cub Scout pocketknife and actually got it—even before I reached the age of majority. This was a real stretch for my father. He tended to anticipate danger at every turn. My mother swears my first word was “dangerous.” I thanked him by not slicing off any body parts. Another time I got the Barbie Camper and accessories I thought I wanted but didn’t. They just sat there stupidly. Something about them annoyed me. My father was a true nerd, pocket protector and all. Some of his nerd gifts were right up my alley. He gave me a super cool Audubon bird call. He bought me experiments and kits from Edmund Scientifics. I made noise and messes! I wrote secret notes on dissolvable paper! I learned how metal expands and contracts with heat! An electronics buff, Dad gave me a small white transistor radio. It even had a wrist strap! I took it outside and hid in my favorite spots listening to Simon and Garfunkel. Dad wasn’t one to martyr himself. He did not spend his energy on matters which didn’t interest him. He had a very active mind and was quick to become bored and impatient. My father was definitely not the kind of parent who liked spending time on the floor playing games or on the couch reading the same stories again and again. All I can say is Thank God for Mom. Instead, Dad showed me how to build a solenoid radio, make rock candy, knit, crochet, garden organically, and program in BASIC. I wonder how many of my interests started as a way to connect with my father. I hope the times he spent with me were gifts he wanted for himself. Posted in memoir and tagged autobiography, birthday, childhood, Christmas, family dysfunction, family life, family rules, father, gift, gift giving, nerd, non fiction, present, science. Bookmark the permalink.